Make loan payments on time and for the correct amount. Avoid overextending your credit. Unsolicited credit cards that arrive by mail may be tempting to use, but they won’t help your credit score. Never ignore overdue bills. If you encounter any problems repaying your debt, call your creditor to make repayment arrangements. If you tell them you are having difficulty, they may be flexible. Be aware of what type of credit you have. Credit from financing companies can negatively affect your score. Keep your outstanding debt as low as you can. Continually extending your credit close to your limit is viewed poorly. Limit your number of credit applications. When your credit report is looked at, or “hit,” it is viewed as a bad thing. Not all hits are viewed negatively (such as those for monitoring of accounts, or prescreens), but most are. Credit is not built overnight. It’s better to provide creditors with a longer historical time frame to review: a longer history of good credit is favored over a shorter period of good history. The importance of credit today is significant; overlooking this fact can be very detrimental to your financial health. Being aware of how your credit score is calculated is essential. By following the tips we have laid out for you, you should be able to either maintain or improve your credit score. 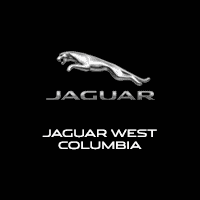 Let our specially trained consultant team put you in a new, certified used Jaguar or used vehicle today. So if you have financing questions we will work with you to make things happen. When others say No, we say YES!! !